1. Top brand with high quality & affordable price. 2. Fast shipment. All parcels will be posted in 72 hours after payment made. To fasten the shipment, please make sure your shipping info is completely correct. 3. Fast delivery. With the advantage of oversea warehouses, parcel can be delivered in 3-5 days in European countries. And 7-15 days(Zone 1- Zone 4) 25 days(Zone 5- Zone 6) to Russian Federation. 4. Excellent after-sale servies. Russian Federation and European countries\' customer can easily return or exchange in our oversea warehouses. We can send you a free voltage converter(Max support 50W) for 110V countries. Please leave a message on the order, or it will not be sent. To well protect the parcel, we will get rid of the oringinal box of product and pack it with foam box. 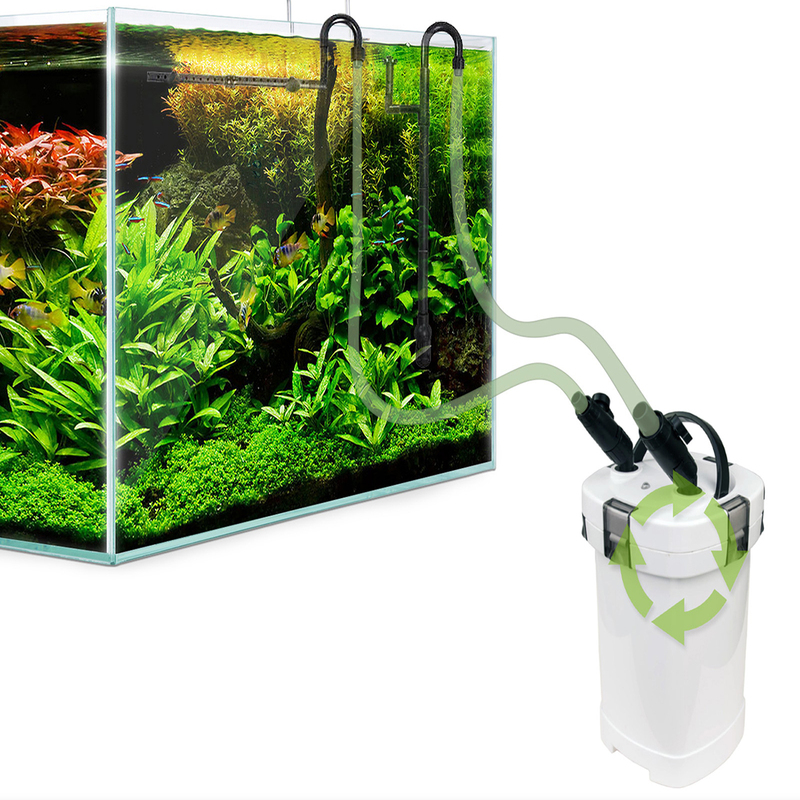 This Power Aquarium Filter(1000L/h) is the right choice if you are passionate about aqua life! The impressive 1000L/h filtration is enough for aquariums of up to 250 litres! This amazing water flow rate only consumes 14 watts thanks to the filter / pump separated design, so it is very energy efficient. Very easy to set up and use, all you need is to add water, filtering materials and push the button! The amazing multi-level filter is capable of offering you the best filtration system as it can hold large quantities of mechanical, biological and chemical filtering materials! The 4 filtration baskets comes with handy handles and allow you to make many different filtering combinations, hence, they give you more flexibility and control over the quality of the water of your tank. The ideal filtering materials are sponge, ceramic noodles, bio balls and carbon(NOT INCLUDED).